As the assistant conductor and prompter of Lyric Opera of Chicago, Susan Miller Hult has the best seat in the house. She's the prompter. Susan Miller Hult will share her experiences with the greatest Wagnerians of our time: Morris, Terfel, Eaglen, Domingo, Voigt, Heppner, Behrens. The good, the bad, and the ugly. She has promised us insights, news, and tales of backstage intrigues. Susan Miller Hult has worked with James Levine at Bayreuth, with Seiji Ozawa in Tokyo, and at the San Francisco Opera. "Please join us in welcoming my friend Susan Hult. I can assure you an interesting event." 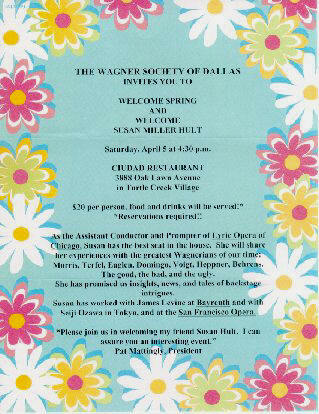 The Wagner Society of Dallas invited members to welcome Spring and Susan Miller Hult at a meeting which started at 4:30 P.M. on Saturday April 5, 2003. The meeting was held at the Ciudad Restaurant in Turtle Creek Village. 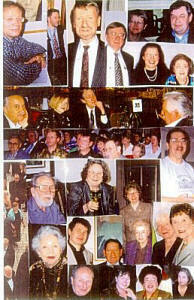 Quite a lot of our members attended this wonderful talk. As promised on our invitations, we were first of all served with drinks. Afterwards, waiters and waitresses served us delicious hors d'oevres. After we had imbibed, we were asked to go into an adjoining room where a microphone was set up. Pat Mattingly, the President of the Wagner Society of Dallas, introduced her friend, Susan Miller Hult, who, she announced, had first graduated from SMU, and then gone on to study at the Eastman School of Music and Juilliard. From 1994 to 1998, Ms. Hult worked with James Levine, Music Director of the Metropolitan Opera in New York. She also remarked that Susan is currently the Assistant Conductor and Prompter of Lyric Opera of Chicago, and that we would be in for a very interesting hour of entertainment. We were. Susan charmed us all by sharing with us many of her experiences as a prompter. She had some wonderful anecdotes. Her job as a prompter, she said, is to have the score ready and be there for whatever the singers need. The prompter, she said, acts as a liaison between the Maestro and the singers. Her job is to know all the parts and be able to sing the queues. Sometimes the singer may not realize that they are a beat ahead, so she has to use hand signals to slow them down. She also works with the understudies, and makes sure they know the correct rhythms. Susan said that she is insulated from the orchestra while sitting in her box with two televisions. Susan described her feelings when she worked at Bayreuth, and told us how helpful James Levine was, and also how helpful the Wagners themselves had been. 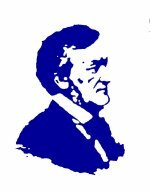 Richard Wagner's music is especially difficult for singers, because one has to know every phrase and every word in a six hour opera. She gave much praise to James Levine, a conductor who, she says, knows where the singer needs to breathe, and who gives the singers "thumbs up" when they do something good. While at Bayreuth, Mr. Levine asked Mr. Wagner if his tempi were too slow. Mr. Wagner¹s reply was, "The tempi work for you beautifully". Ms. Hult said she completed her apprenticeship as a prompter in San Francisco and was prompter there for five years. In 1993, she told us, she did her first full Ring Cycle with Zubin Mehta at Chicago. (Zubin and I were colleagues in Vienna when we both studied there, so I found this especially interesting ­ SJH ). 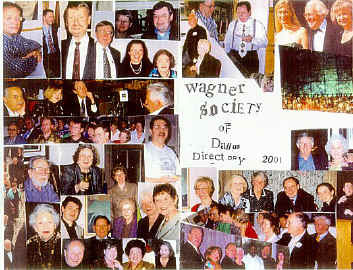 One of our Wagner Society members, Dr. Don Janak, asked if some singers ignore her. Her reply was, "Oh yes, once I sang a cue, then I sang again, then I finally spoke the text." Susan added that if a singer is really "off", the prompter just concentrates on the person coming after that singer. She told us that it is vitally important for the prompter to stay calm, and that some singers are much easier to work with than others. James Morris, for instance, is wonderful to work with and always appreciative of her work. At this point, I added that, having been a singer myself in Europe, I knew that the prompter was always my best friend and that most singers should really appreciate the work she does. She was most grateful for my words of admiration for her work. Susan Miller Hult's entertaining speech received a standing ovation. I was so glad that I had decided to go to this unusual event.